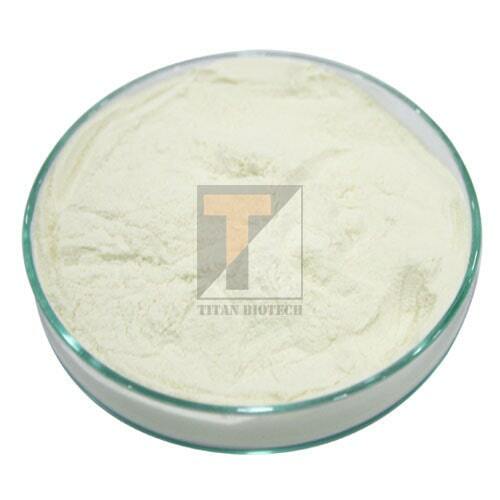 Titan Biotech is one of the leading manufacturers of excellent quality of Protein hydrolysate for more than 25 years. We hold the certificate of GMP+ (Good Manufacturing Practices) which is the system for ensuring that products are consistently produced and controlled according to quality standards. It is the mixture of amino acids, dipeptides, tripeptides, and polypeptides, prepared by splitting a protein with acid, alkali, or enzymes. Wide range of sources like soya, casein and meat are available in liquid and powder form with different protein content which helps in saving the diet cost. It is prooved to be one of the best alternatives of digested protein available for animal poultry, dogs, cats, livestock. It is easily absorbed by the animal and a source of organic nitrogen I the form of essential amino acids as well as non-essential amino acids or other nitrogenous compounds required for normal growth of animals. It includes antimicrobials, antioxidants, opioid-like and/or other interesting bioactive molecules have promising and interesting benefits on companion and production of animals. Have excellent palatability (pleasant in taste). It acts as interesting nutraceuticals for companion animals. If added in low amounts in aqua-feeds, enhance the growth rate and feed conversion of farmed fish and crustacean (aquatic group-such as crabs, lobster, shrimps or barnacle). Effectively prevent and control broken egg, soft egg, white egg etc. High digestibility due to efficient elimination of anti-nutritional due to a well-balanced of bound & free amino acid composition and short chain peptides. Improves the metabolic activities of the animal. Improves productive parameters & health of animals. Significantly increases the egg weight and improve egg shell quality, yolk color. It is free-flowing powder or liquid form.